Here is a GALLERY featuring images from "THE A.B.C. 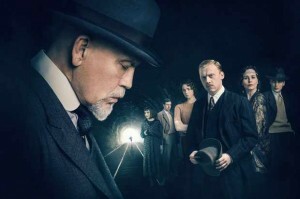 MURDERS", the 2018 adaptation of Agatha Christie's 1936 novel. Directed by Alex Gabassi and written by Sarah Phelps, the television miniseries starred John Malkovich as Hercule Poirot. I wrote this REVIEW of "THE MYSTERIOUS AFFAIR AT STYLES", the 1990 adaptation of Agatha Christie's 1920 novel. 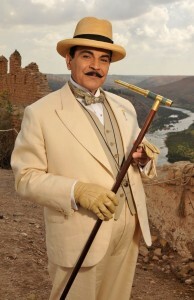 The television movie starred David Suchet as Hercule Poirot. I wrote this REVIEW of "HICKORY DICKORY DOCK", the 1995 adaptation of Agatha Christie's 1955 novel. 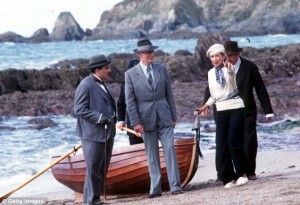 The television movie starred David Suchet as Hercule Poirot. I wrote this REVIEW of "ELEPHANTS CAN REMEMBER", the 2013 adaptation of Agatha Christie's 1972 novel. 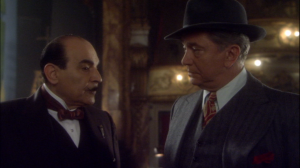 The movie starred David Suchet as Hercule Poirot. 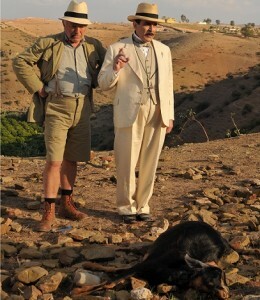 Here is a GALLERY featuring images from "ELEPHANTS CAN REMEMBER", the 2013 adaptation of Agatha Christie's 1972 novel. 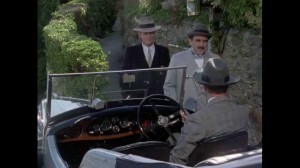 The movie starred David Suchet as Hercule Poirot. 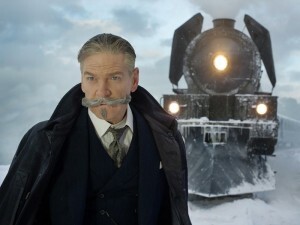 I wrote this REVIEW of "MURDER ON THE ORIENT EXPRESS", the 2017 adaptation of Agatha Christie's 1934 novel. 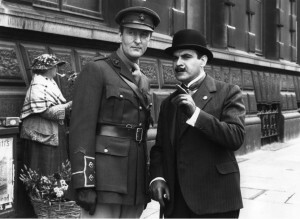 Kenneth Branaugh directed and starred as Hercule Poirot. 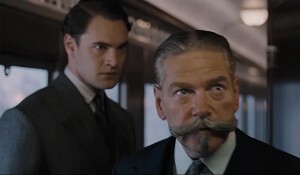 Here is a GALLERY featuring images from "MURDER ON THE ORIENT EXPRESS", the 2017 adaptation of Agatha Christie's 1934 novel. 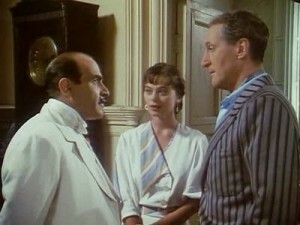 Kenneth Branaugh directed and starred as Hercule Poirot. 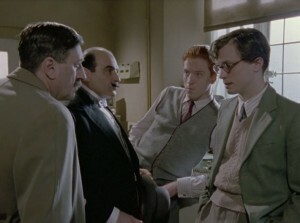 I wrote this REVIEW of "THE HOLLOW", the 2004 adaptation of Agatha Christie's 1946 novel. The movie starred David Suchet as Hercule Poirot. 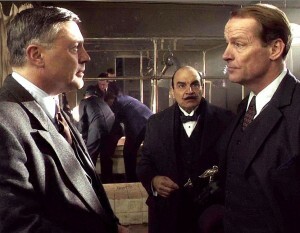 Here is a GALLERY featuring images from "THE HOLLOW", the 2004 adaptation of Agatha Christie's 1946 novel. The movie starred David Suchet as Hercule Poirot. 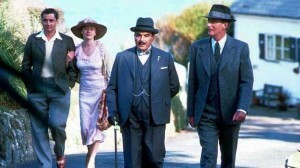 I wrote this REVIEW of "EVIL UNDER THE SUN", the 2001 adaptation of Agatha Christie's 1941 novel. 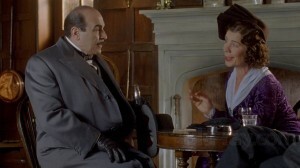 The movie starred David Suchet as Hercule Poirot. Here is a GALLERY featuring images from "EVIL UNDER THE SUN", the 2001 adaptation of Agatha Christie's 1941 novel. The movie starred David Suchet as Hercule Poirot. I wrote this REVIEW of "TAKEN AT THE FLOOD", the 2006 adaptation of Agatha Christie's 1948 novel. The movie starred David Suchet as Hercule Poirot. I wrote this REVIEW of "APPOINTMENT WITH DEATH", the 2008 adaptation of Agatha Christie's 1938 novel. The movie starred David Suchet as Hercule Poirot. 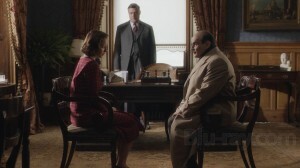 Here is a GALLERY featuring images from "APPOINTMENT WITH DEATH", the 2008 adaptation of Agatha Christie's 1938 novel. The movie starred David Suchet as Hercule Poirot. I wrote this REVIEW of "THREE ACT TRAGEDY", the 2010 adaptation of Agatha Christie's 1934 novel. The movie starred David Suchet as Hercule Poirot. Here is a GALLERY featuring images from "THREE ACT TRAGEDY", the 2010 adaptation of Agatha Christie's 1934 novel. The movie starred David Suchet as Hercule Poirot. I wrote this REVIEW of "PERIL AT END HOUSE", the 1990 adaptation of Agatha Christie's 1932 novel. The movie starred David Suchet as Hercule Poirot. Here is a GALLERY featuring images from "PERIL AT END HOUSE", the 1990 adaptation of Agatha Christie's 1932 novel. The movie starred David Suchet as Hercule Poirot.